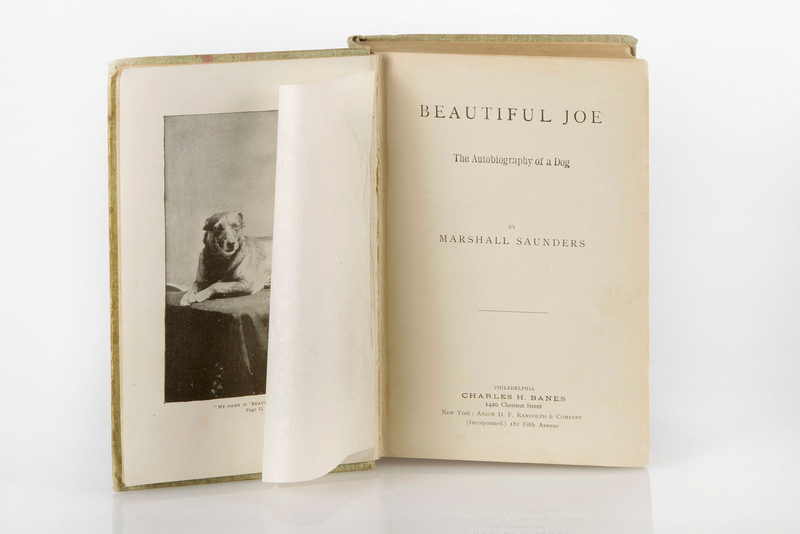 Beautiful Joe, written in 1893 by Margaret Marshall Saunders. Collection of National Museum of Animals & Society. By 1939 over 7 million copies of this book had been published, and it had been translated in to several different languages. Beautiful Joe has been digitized and is available through the University of Pennsylvania’s digital library. The Beautiful Joe Heritage Society in Meaford, Ontario is involved in a number of projects to keep the memory of both Margaret Marshall Saunders and Beautiful Joe alive.